For most people, the first thing that they look forward to upon returning home after a hectic day at work is a long and relaxing shower. Some like it hot, others prefer their showers cold; whatever type of shower you enjoy, both offer benefits to the body. For instance, hot showers help release tension and ease muscle stiffness, as well as alleviate the symptoms of a cold; cold showers increase mental alertness and relieve fatigue, and are great in hydrating the skin and hair. We spend a good portion of our day in the shower every day of our lives. Finding the perfect shower head for your bathroom does not take much if you are equipped with vital information on the different types of shower heads available. Here is our guide for the variety of shower heads offered in the market that you can use for your new home or if you are looking to give your current bathroom(s) a makeover. 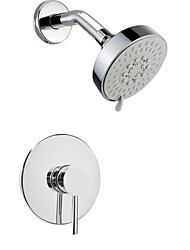 The wall mount shower head is, as the name suggests, installed into the wall of the shower area and cannot be moved. This type of shower head should not be placed in the guest bathroom of your home as it will prove to be inconvenient for those with a larger physique. Hand held shower heads hang from a hose or a fixture on the wall and can be removed. It is versatile and easily adjustable to your preferred use, making it the perfect type of shower head to use when bathing young children or pets. 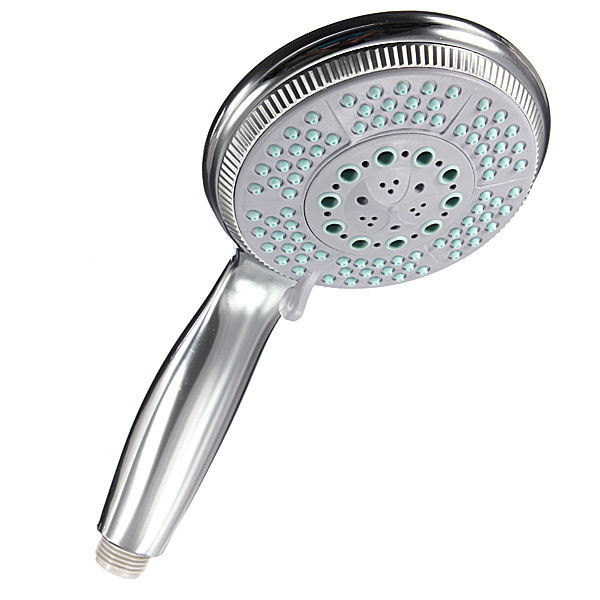 It is by far the most popular type of shower head as it is suitable for people of all sizes, easily cleans hard to reach places of the body and comes in a variety of styles to suit any bathroom design. Commonly found in luxury hotel bathrooms, the rain shower is now gaining popularity for the home bathroom as well and it is easy to understand why. The rain shower head is installed either onto the ceiling or wall of the shower area and distributes water evenly, resembling natural rainfall. Water pressure is adjustable and the rain shower is great in helping you de-stress and release muscle tension. However, if the water pressure in your home is not powerful enough, it is ill-advised to install the rain shower in your bathroom as you will not be able to fully enjoy the pleasures of this shower head. This is a type of shower head that is not as commonly found in most homes but is a great addition to the bathroom for those who enjoy their massages. The massage shower head comes with a valve that allows you to select the preferred massage sprays. Similar to the rain shower, water pressure is an important consideration prior to installing this type of shower head as you will not be able to fully utilize the massaging effects without powerful water pressure. Hopefully this guide has been useful to you in your search for the perfect addition to your bathroom. On top of acquiring the best shower head for your home, it is also important to have a good plumber to install it for you. We have a wide range of plumbing services available for your convenience. Get in touch with us today!